Members gather and share educational and resource materials to promote how we can continue to reduce our ecological and carbon footprint and assist in conserving the Earth for future generations. Only 2.5 percent of the Earth’s total water supply is clean enough for human consumption and less than 1 percent of that water is usable in a renewable fashion. For a number of Third World women, water is so scarce that women have to walk miles to carry just enough water for the day, which then prohibits them from going to school or learning a trade and eventually causes physical problems. For some peasants, it means starvation and destitution, dehydration and death as drought wipes out their crops. 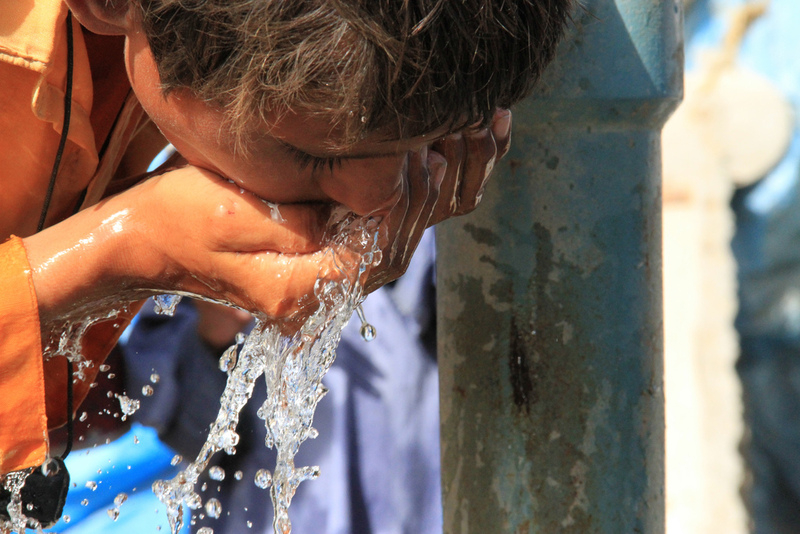 Each day, hundreds of children die of water-related illnesses and dehydration. Currently, 31 countries suffer from water scarcity. Global consumption of water is growing at more than twice the rate of human population growth. The solutions to water scarcity, though, are not global but are to be found in each watershed, with its unique combination of geology, climate, culture and livelihoods, and in each community that must live with the consequences of decisions that it makes. 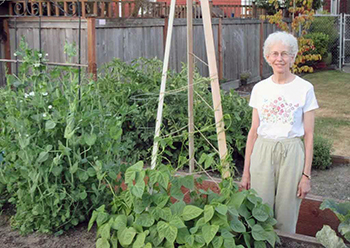 Sr. Paula Cosko tends to her garden. Given the tremendous economic inequalities in the world, there is a great possibility that the economically powerful will waste water while the poor will pay the price. When water is wasted, polluted or diverted, or when the climate changes faster than people can adapt, the result is water scarcity. A similar situation occurs when water is owned by some while others are excluded. It is said that in the 20th century, people fought over oil, but water will be the catalyst for war in the 21st century.